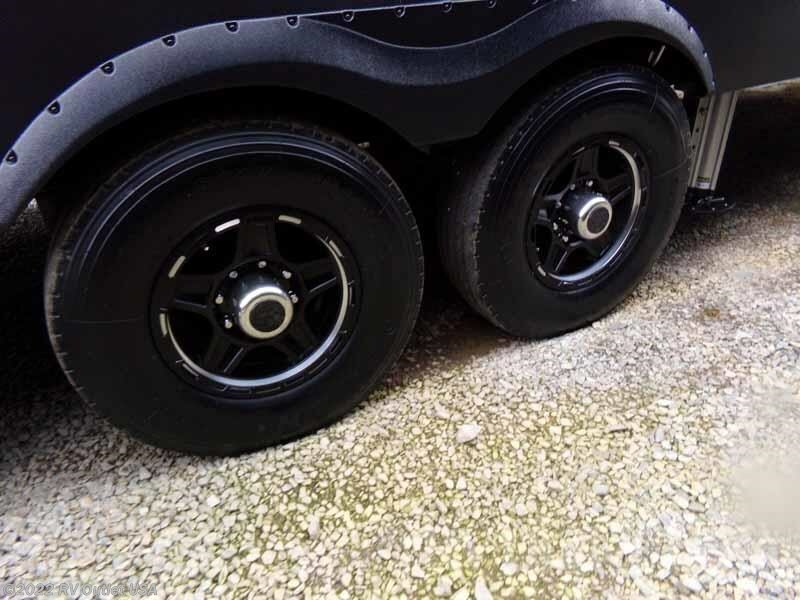 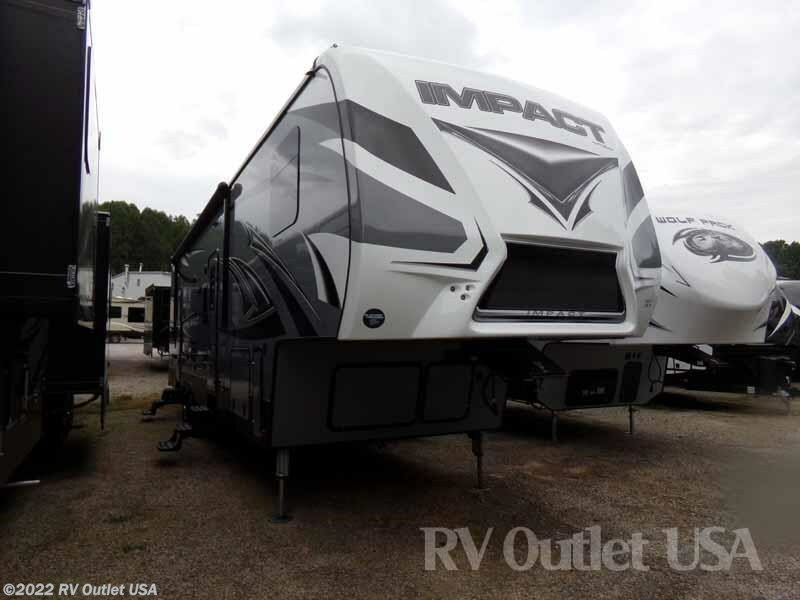 2018 KEYSTONE IMPACT 351 5TH WHEEL TOY HAULER! 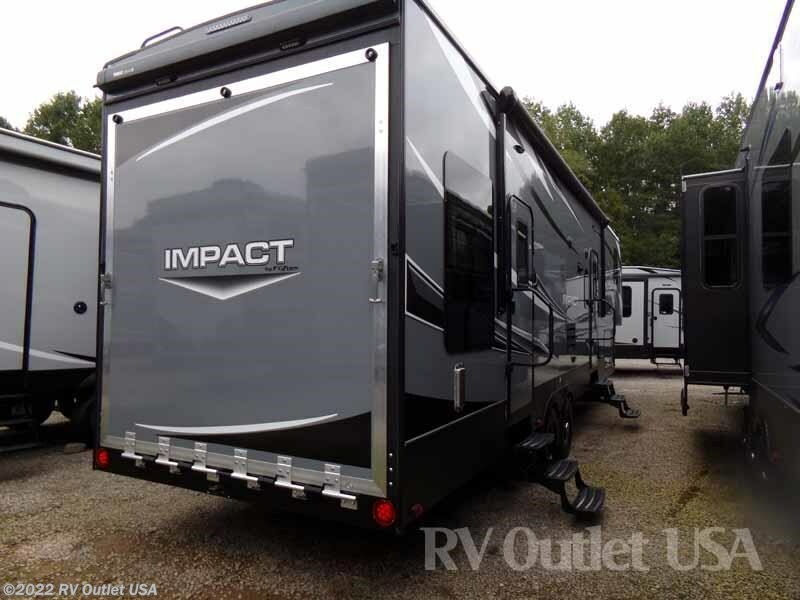 PLEASE CALL FOR OUR LOWEST KEYSTONE IMPACT TOY HAULER PRICES!! 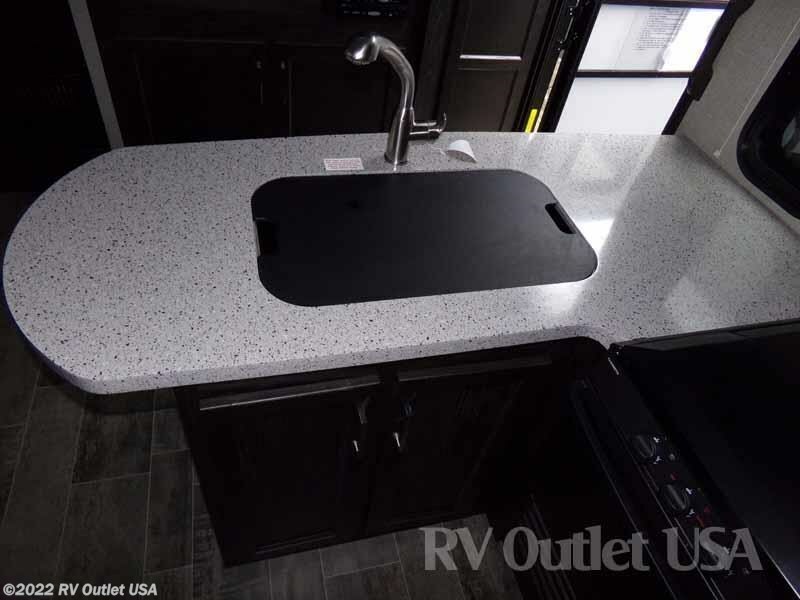 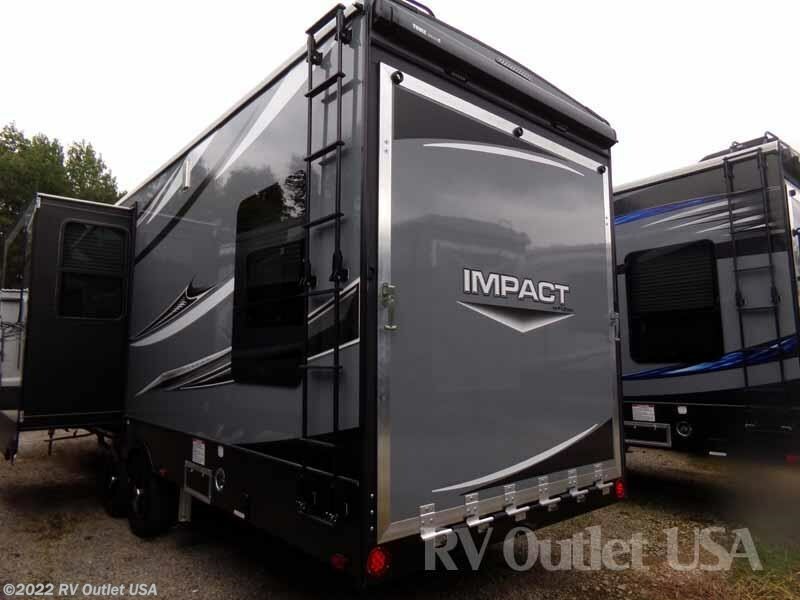 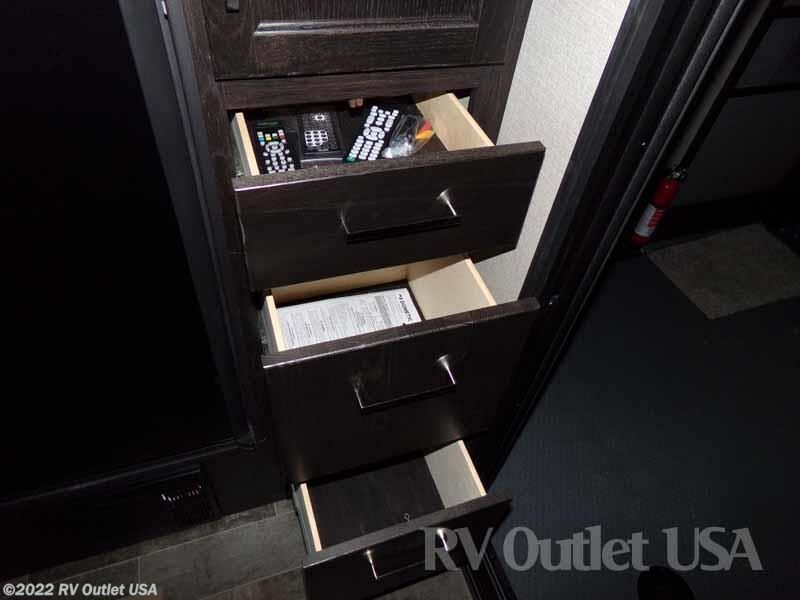 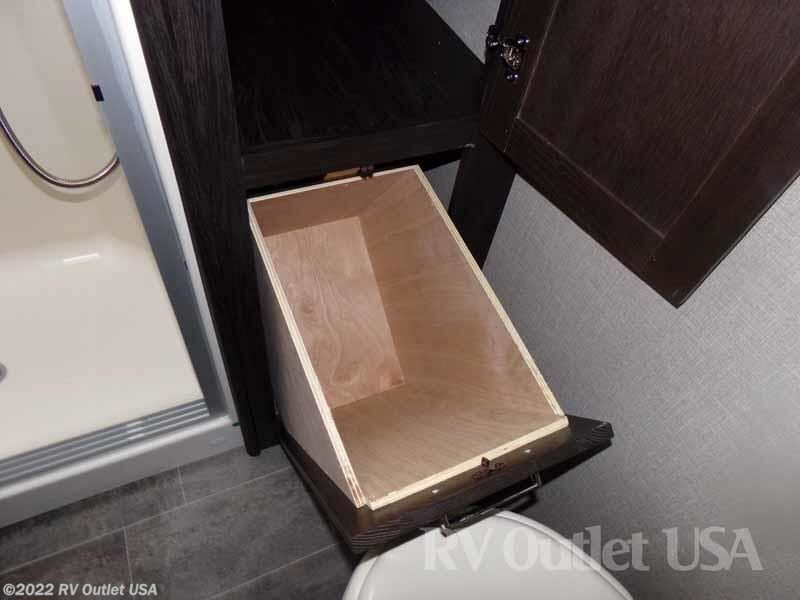 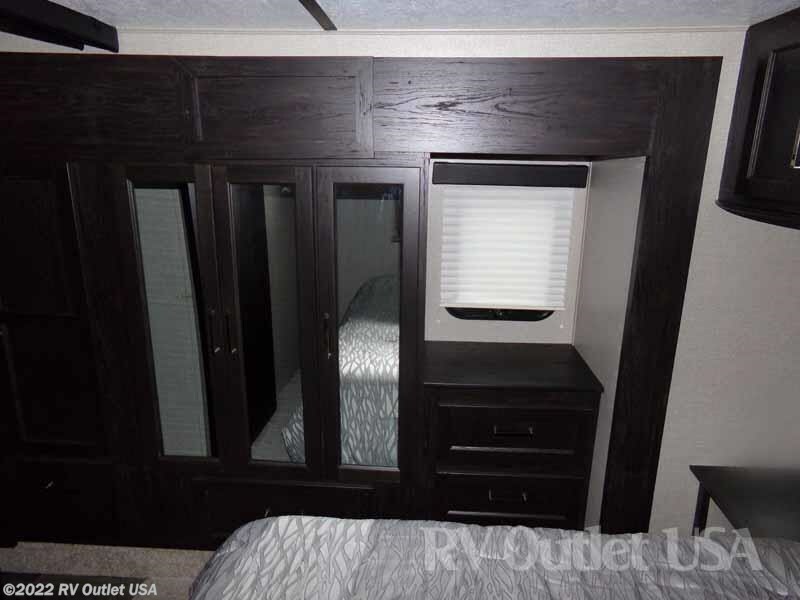 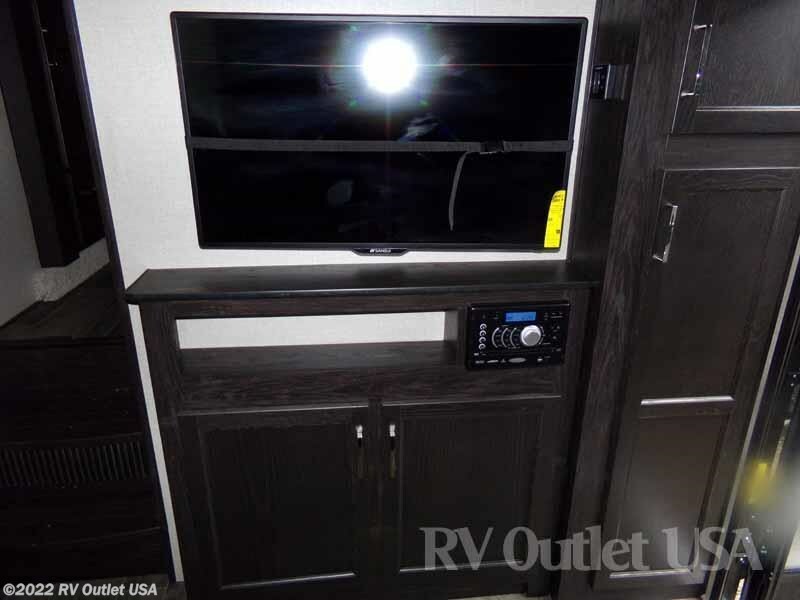 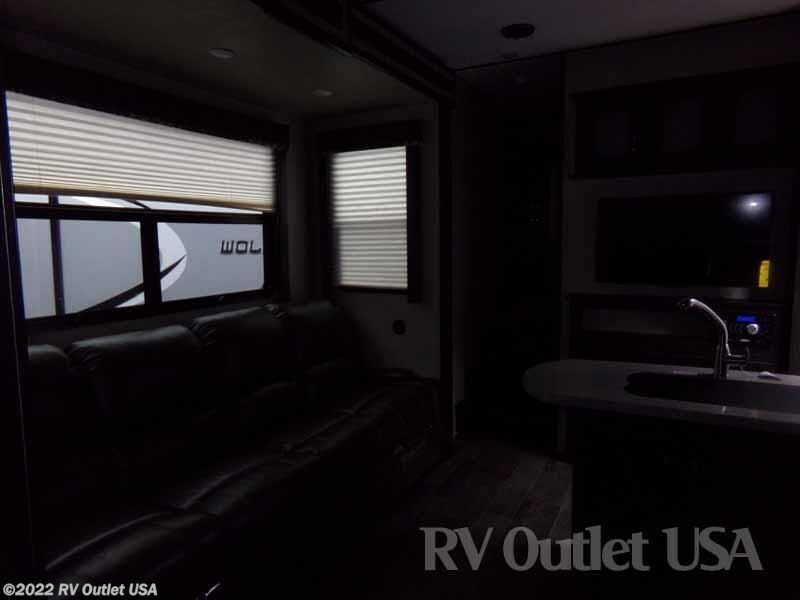 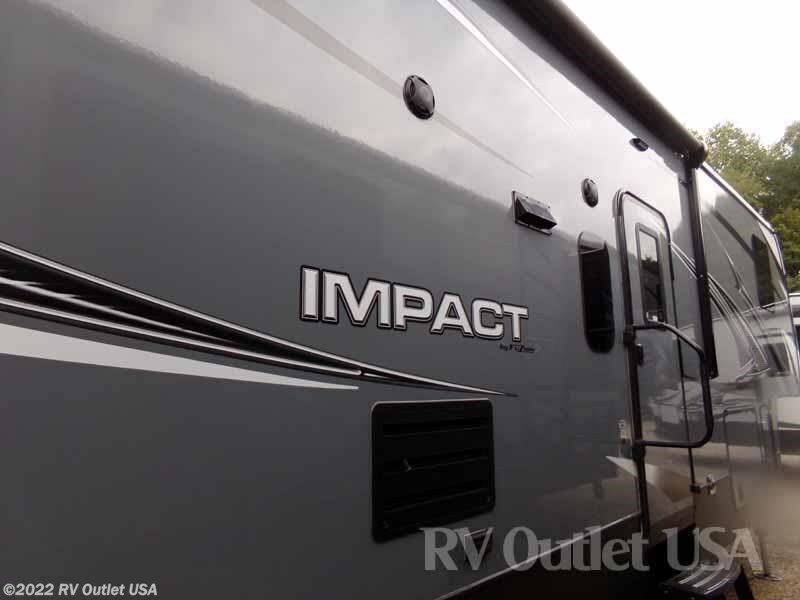 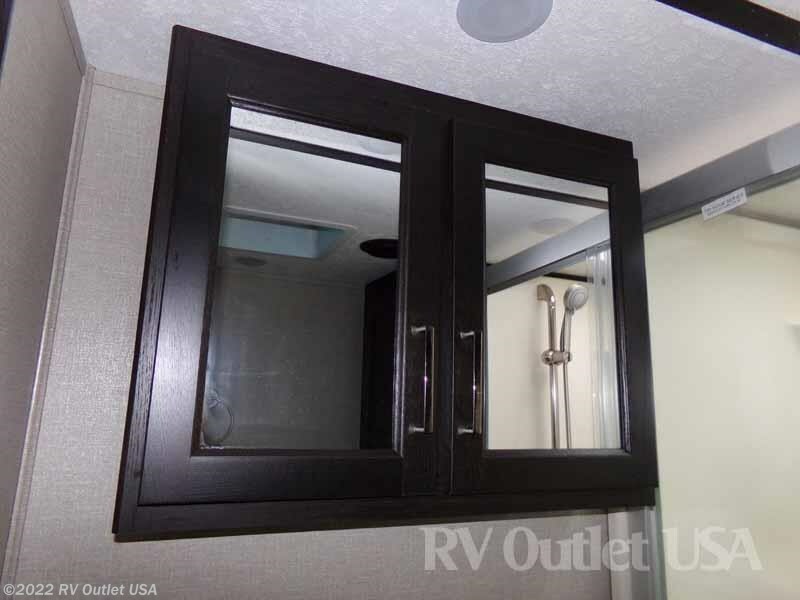 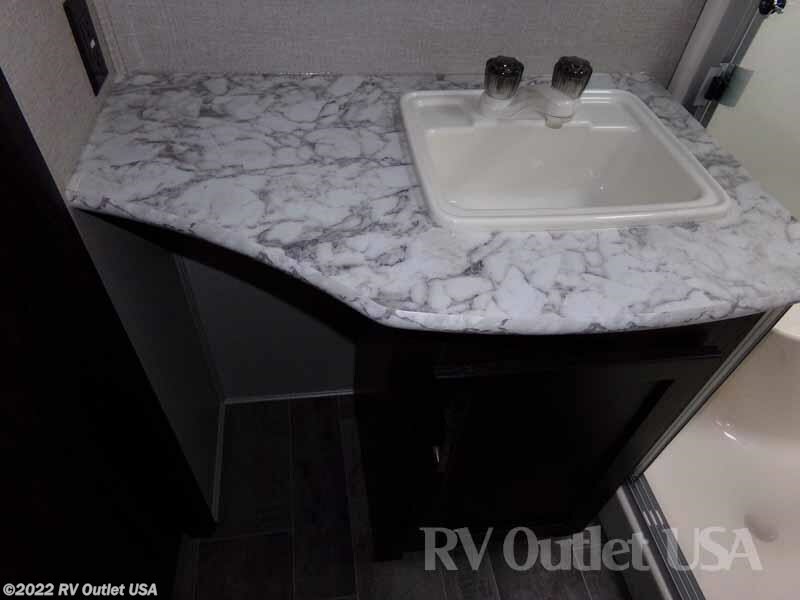 Here's a super nice 5th wheel toy hauler floor plan from Keystone Fuzion, the brand new 2018 Impact. 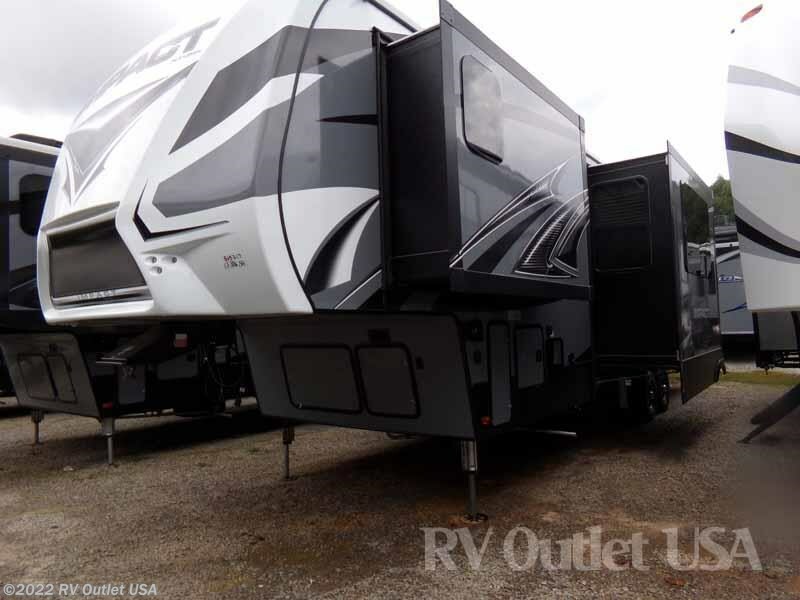 This toy hauler has (2) slide outs, it's 38' long, and weighs 17000 lbs. 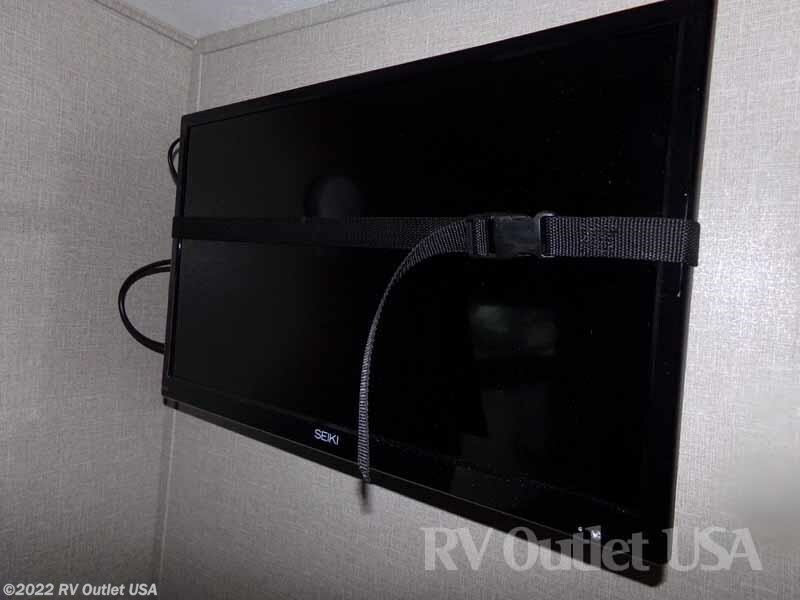 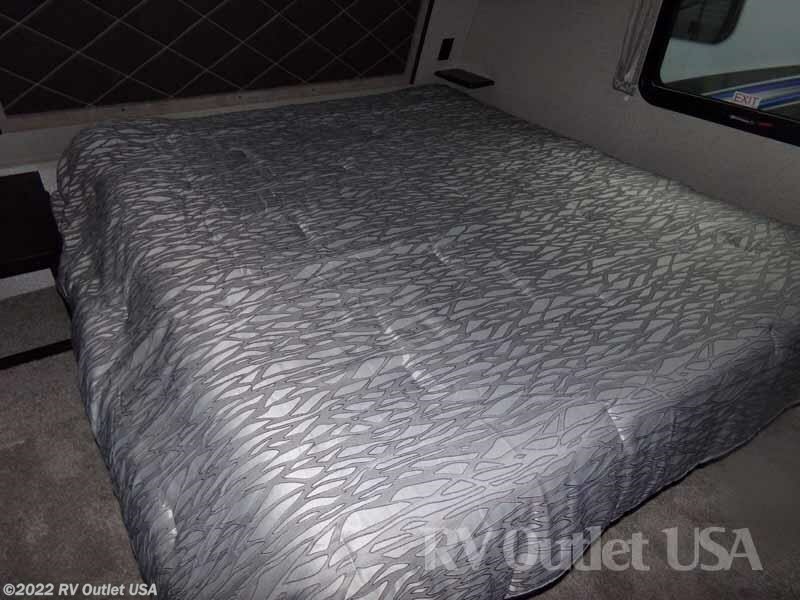 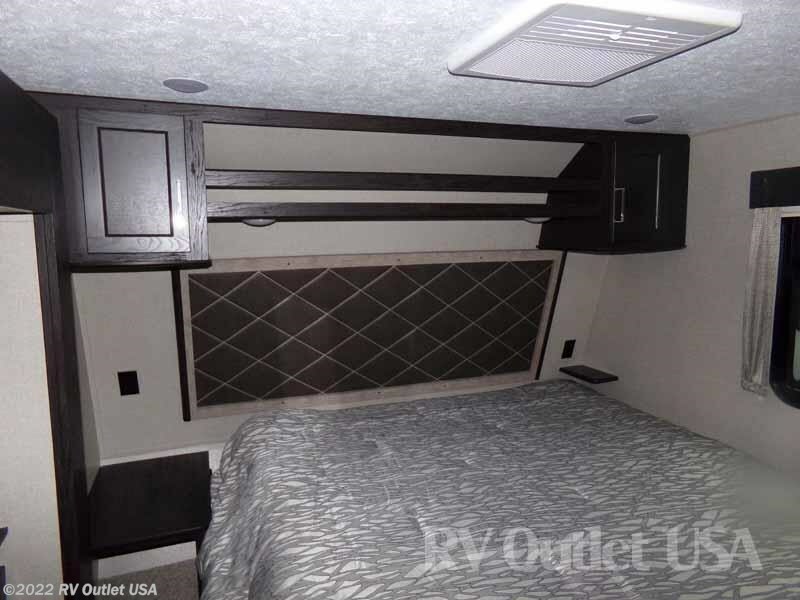 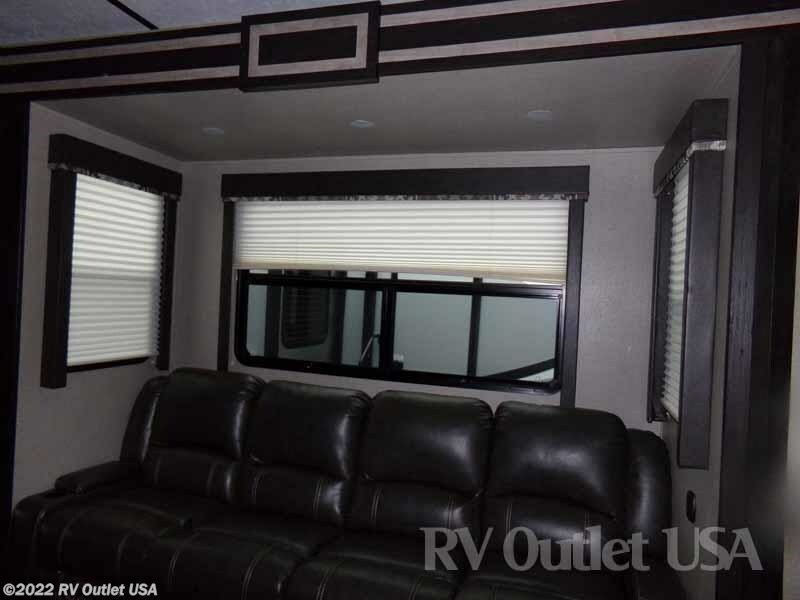 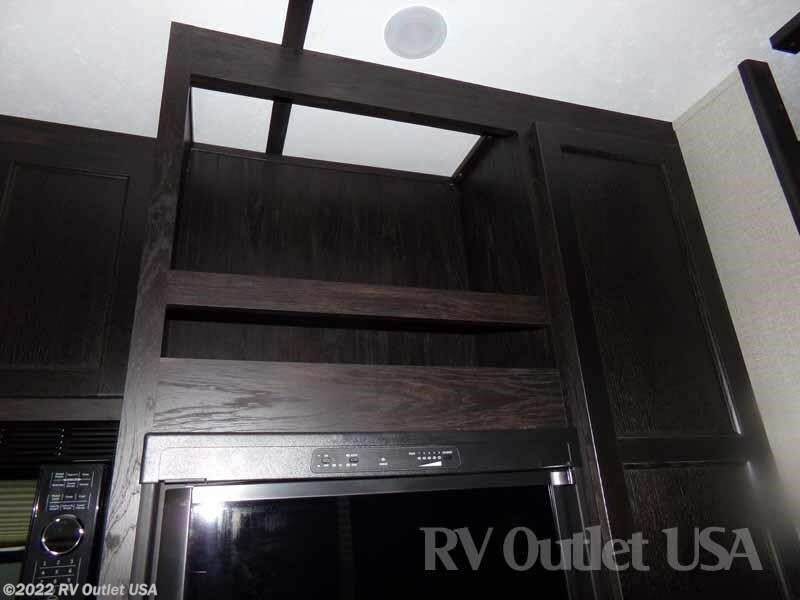 This coach has a walk around King bed master suite with overhead cabinets. 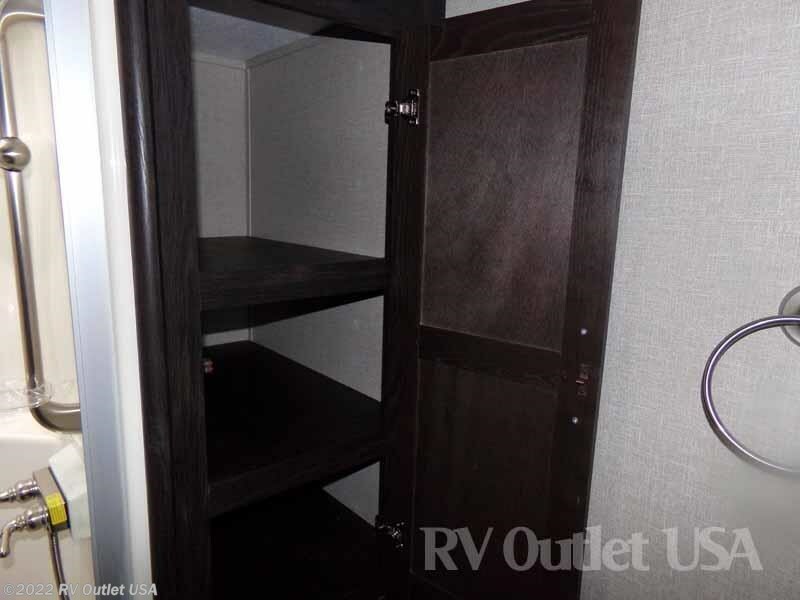 It has a large wardrobe slide on the off door side in the master bedroom. 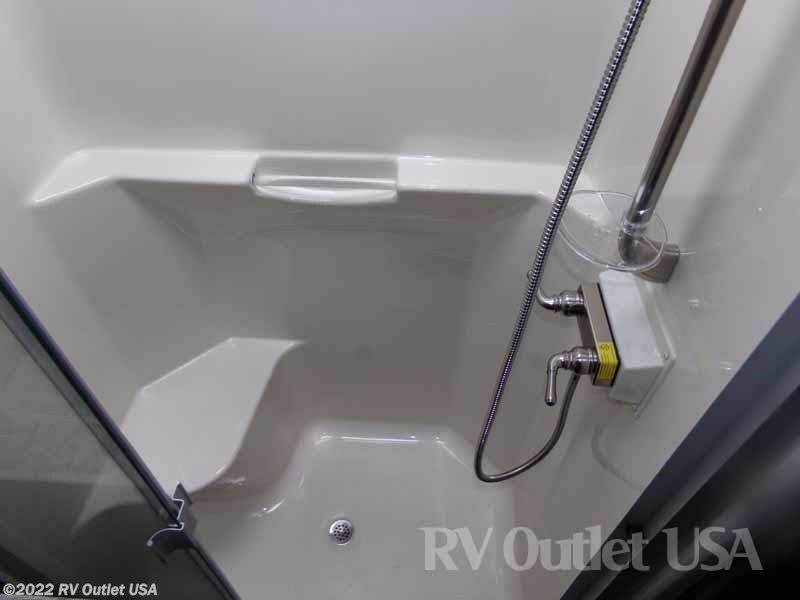 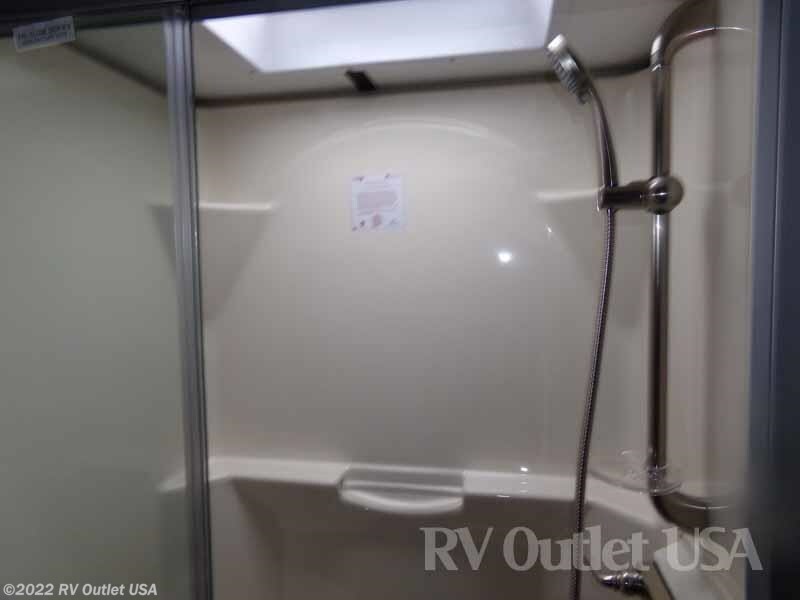 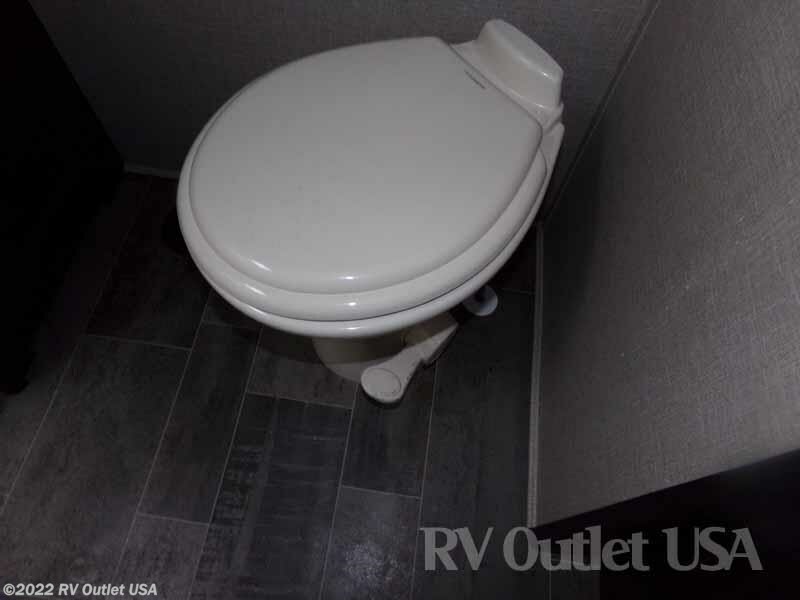 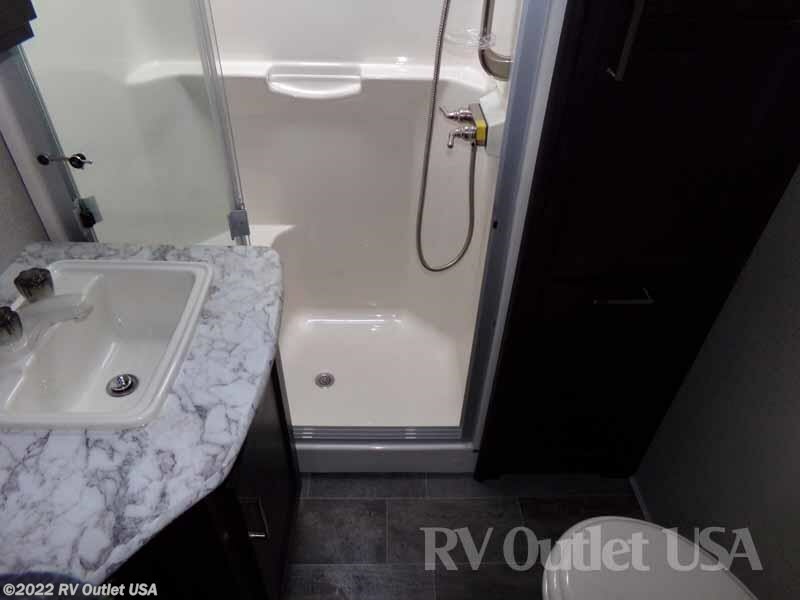 There is also a side aisle bathroom with the residential shower with built-in seat, a linen closet, a sink with underneath storage, a medicine cabinet and a toilet all in one room for privacy. 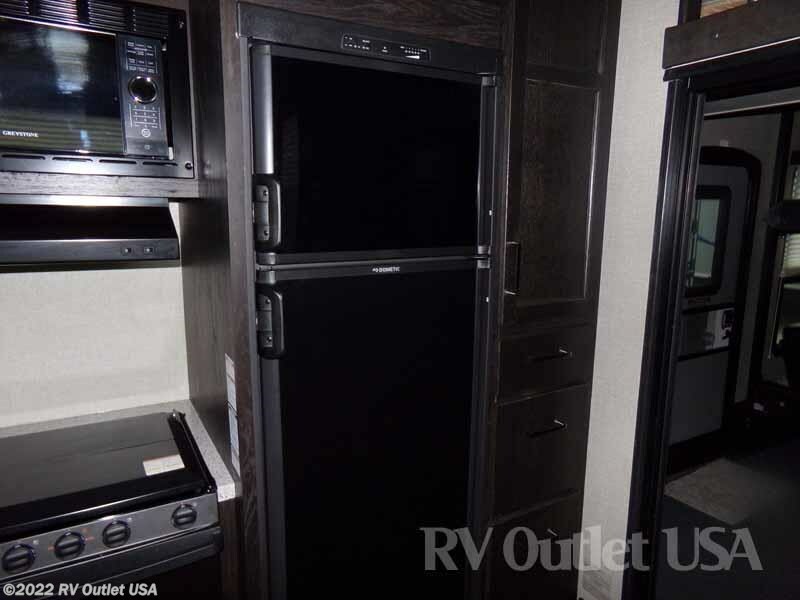 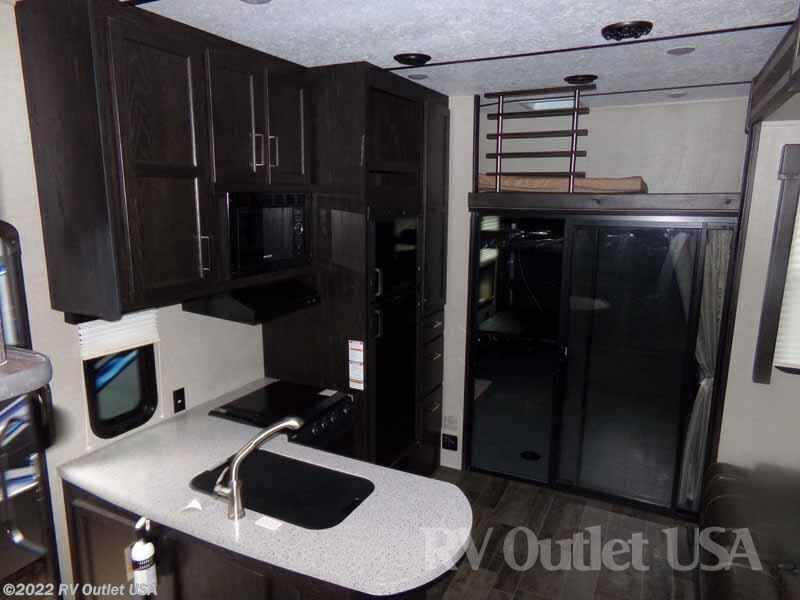 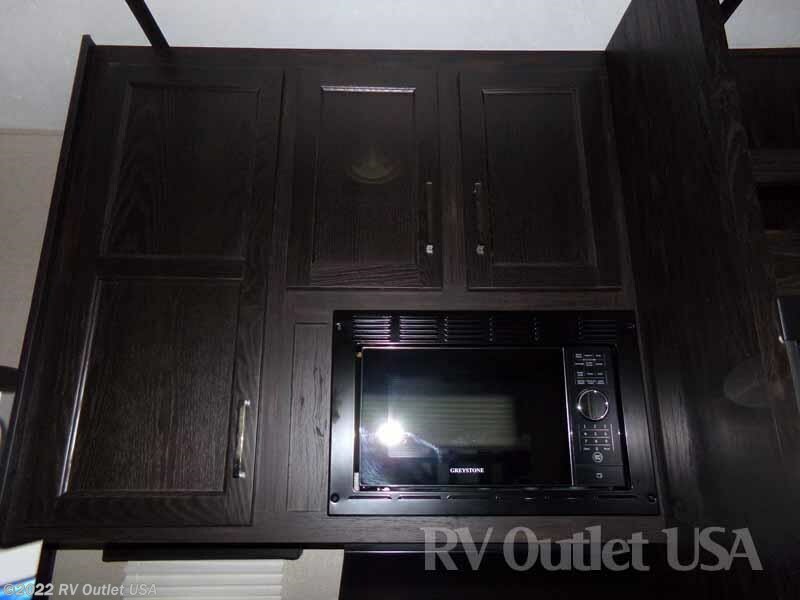 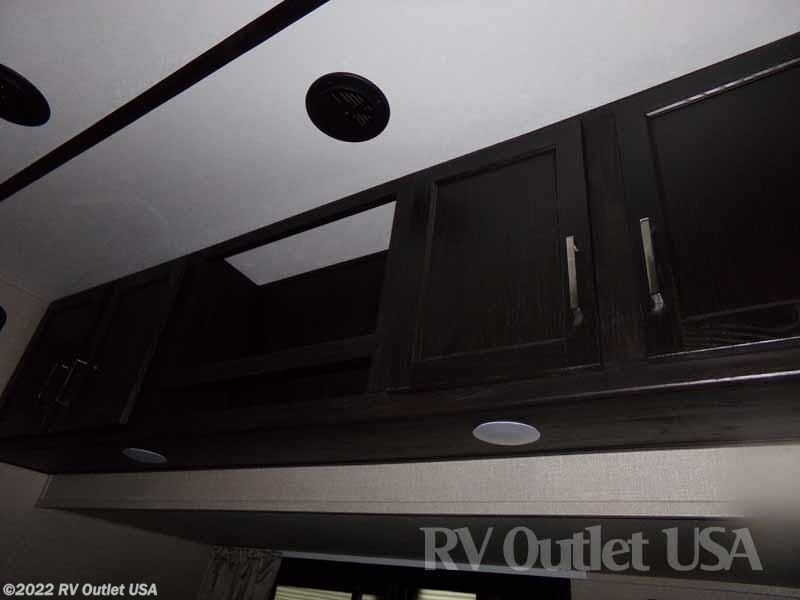 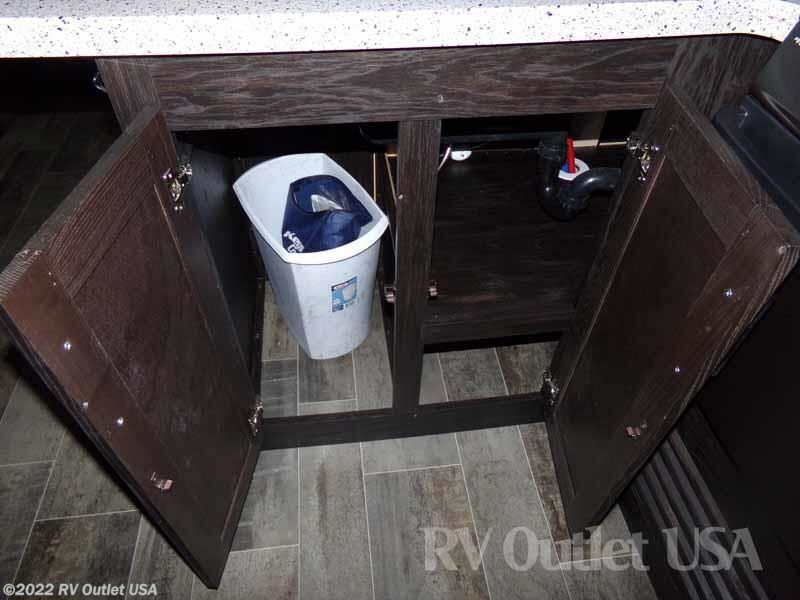 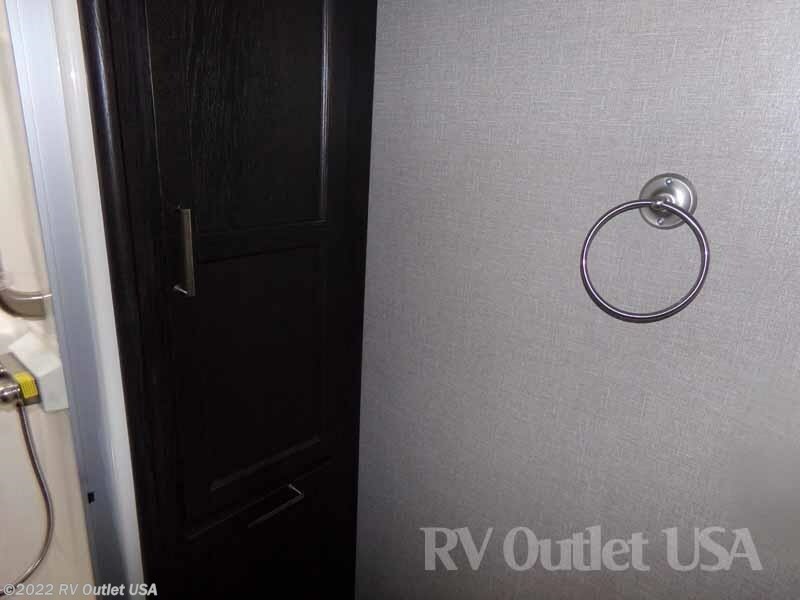 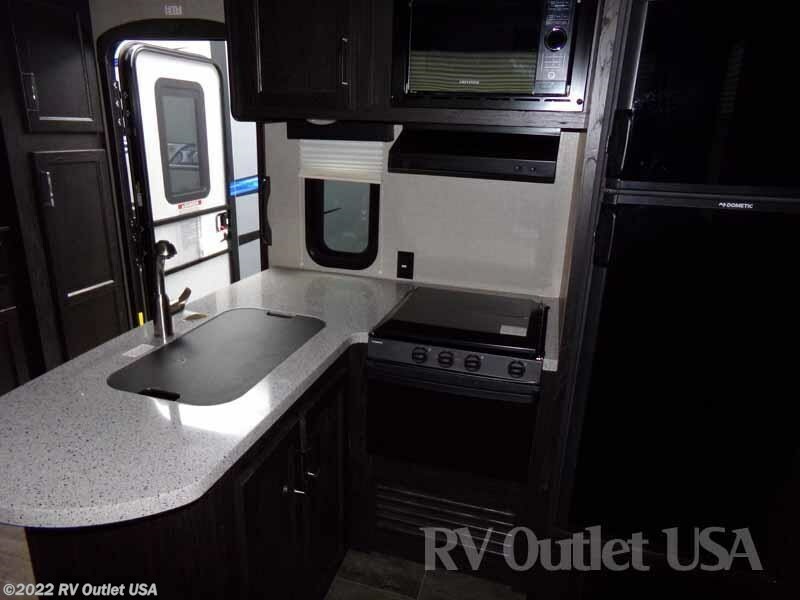 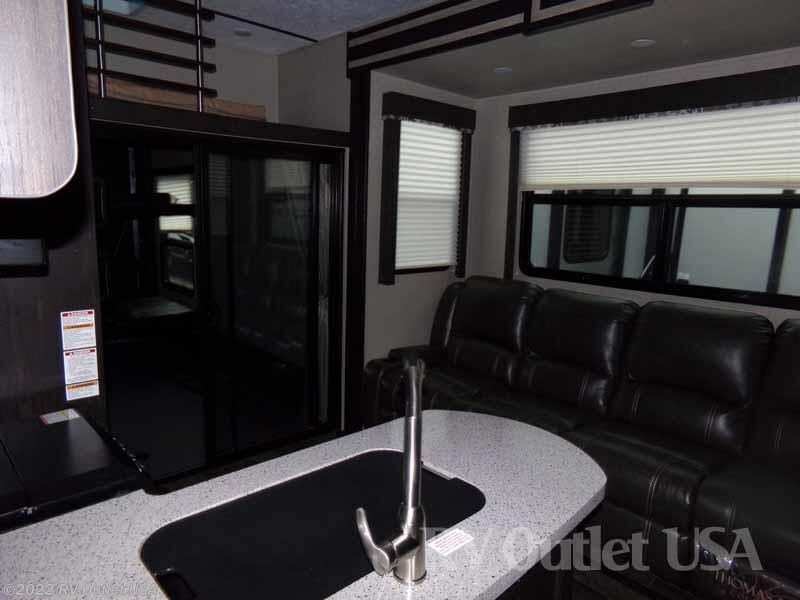 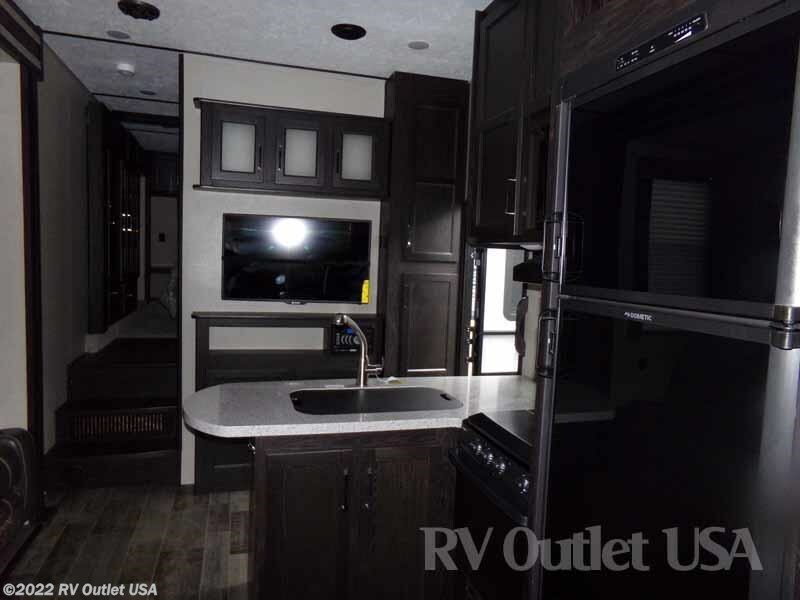 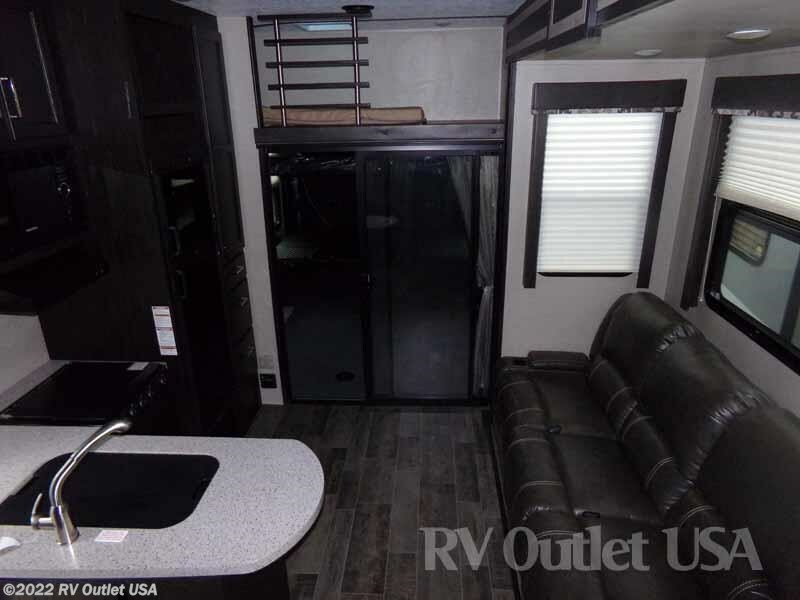 When you walk in this coach the first thing that you'll notice is the super cool kitchen which gives you plenty of solid surface counter tops and overhead cabinets for storage. 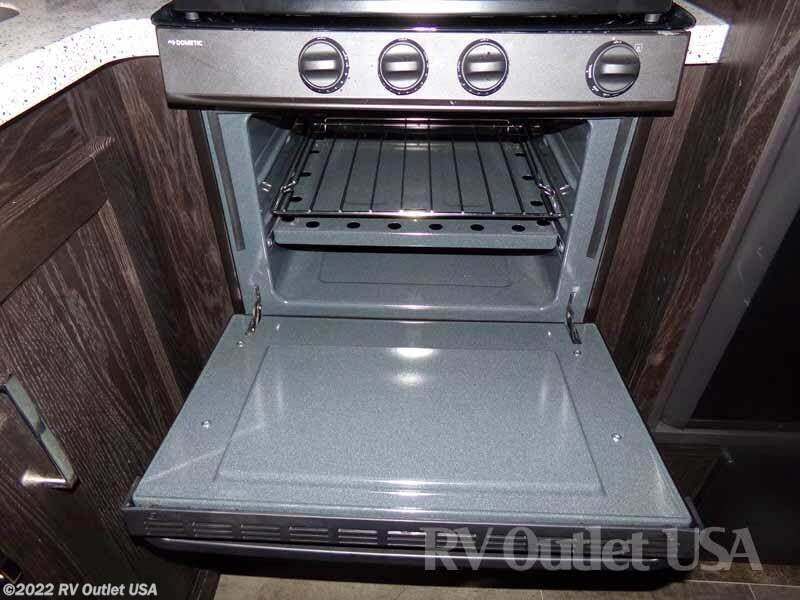 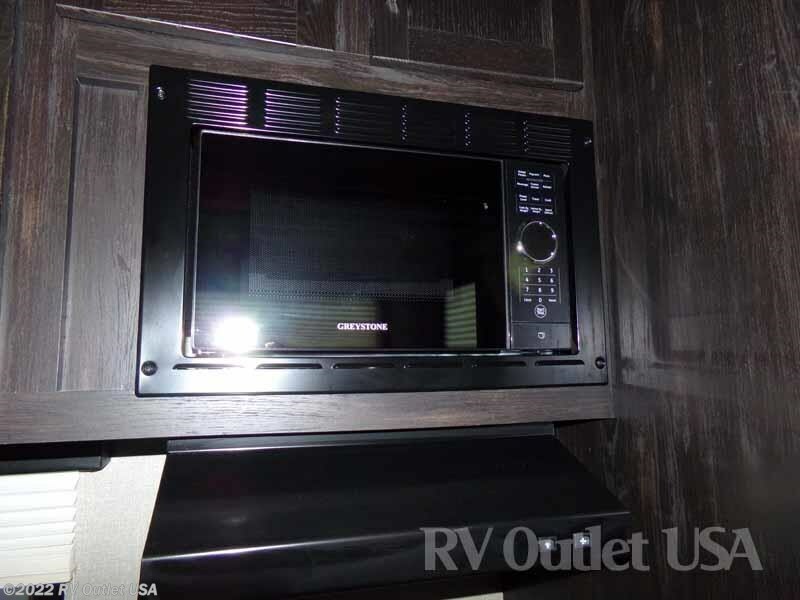 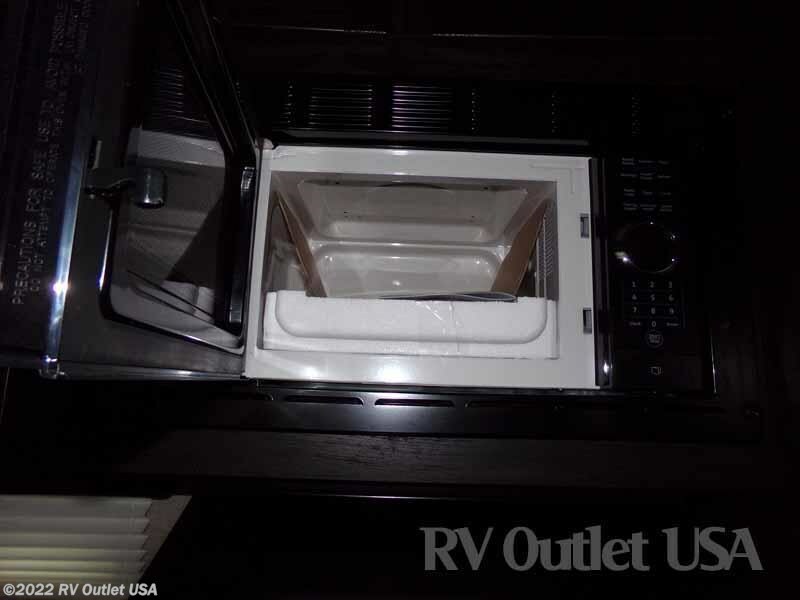 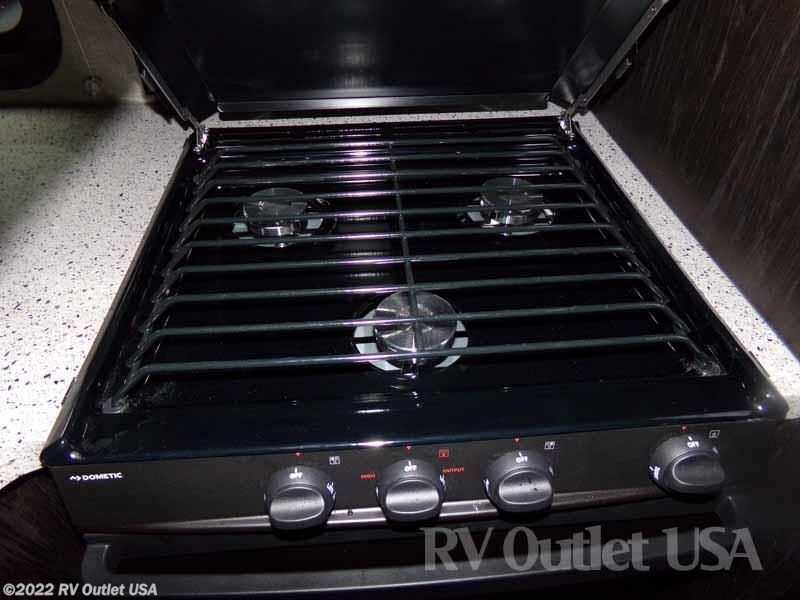 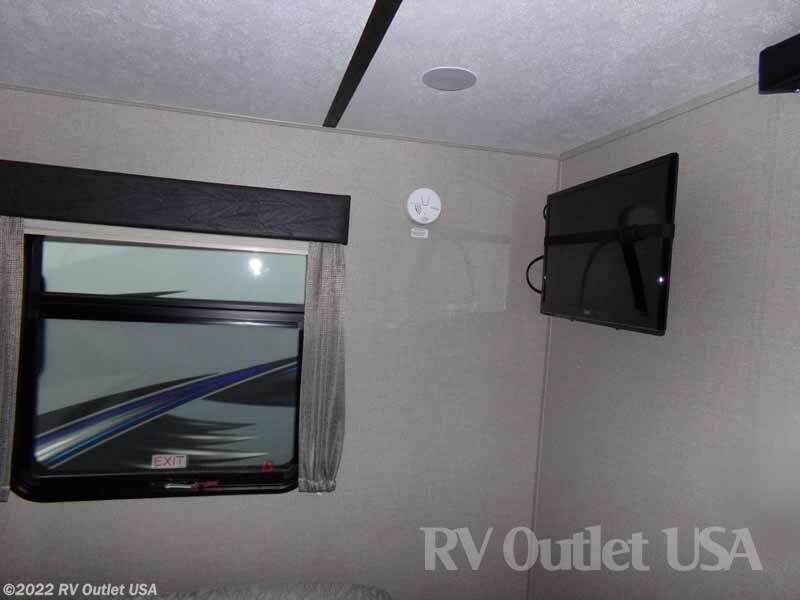 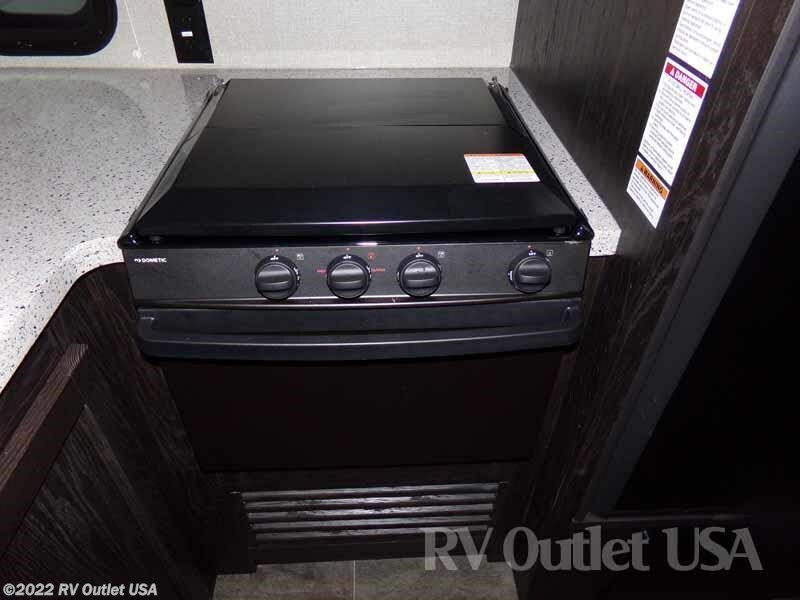 This coach does have the (3) burner cook top oven, and microwave oven. 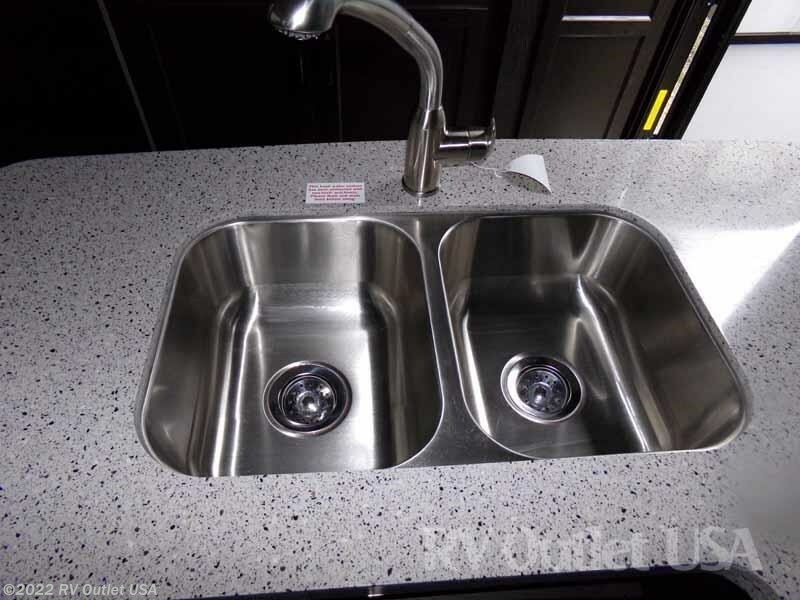 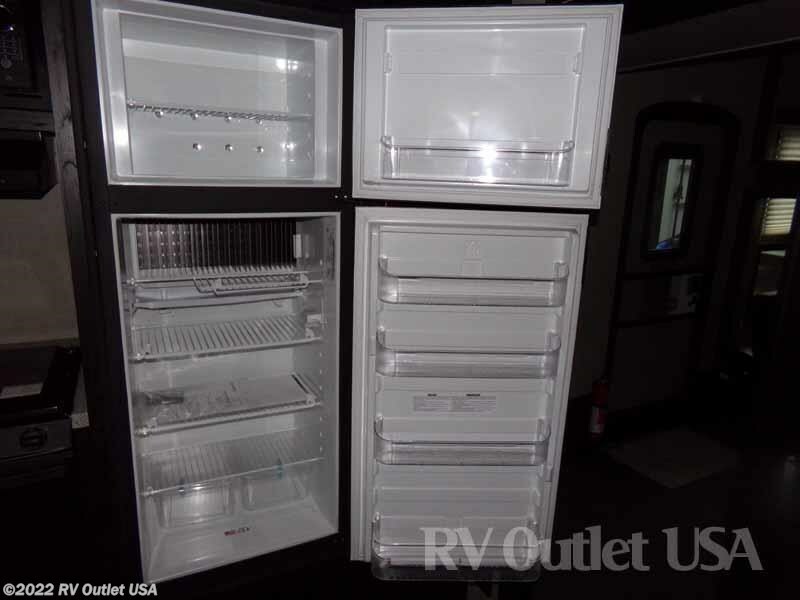 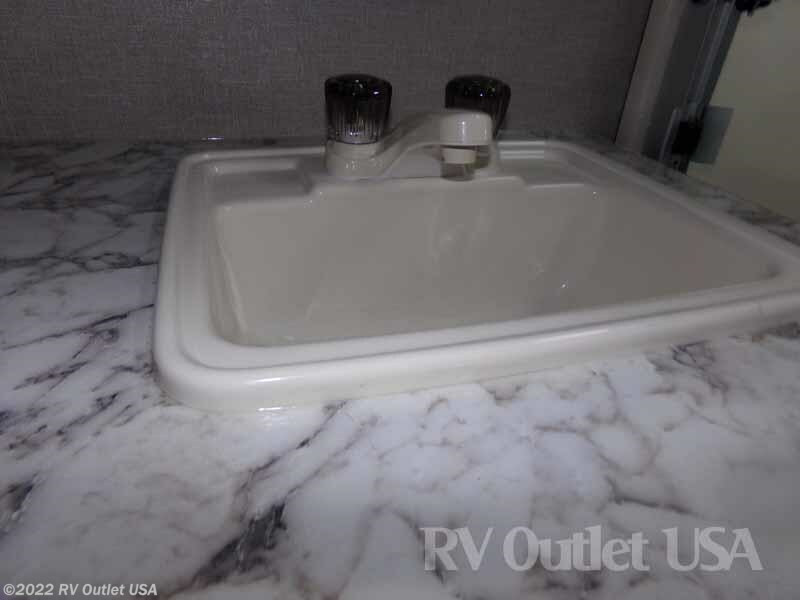 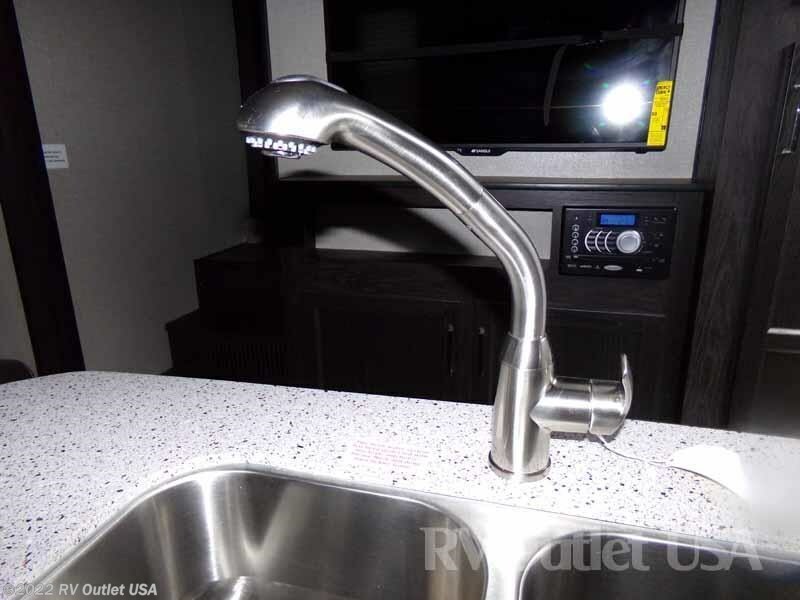 It has double stainless sinks and plenty underneath storage. 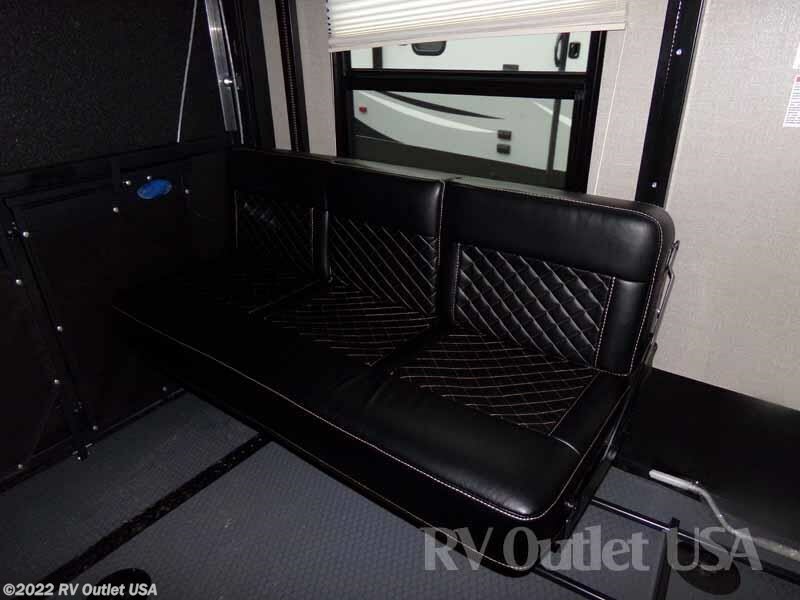 It has a slide on the off door side which has a super cool sofa. 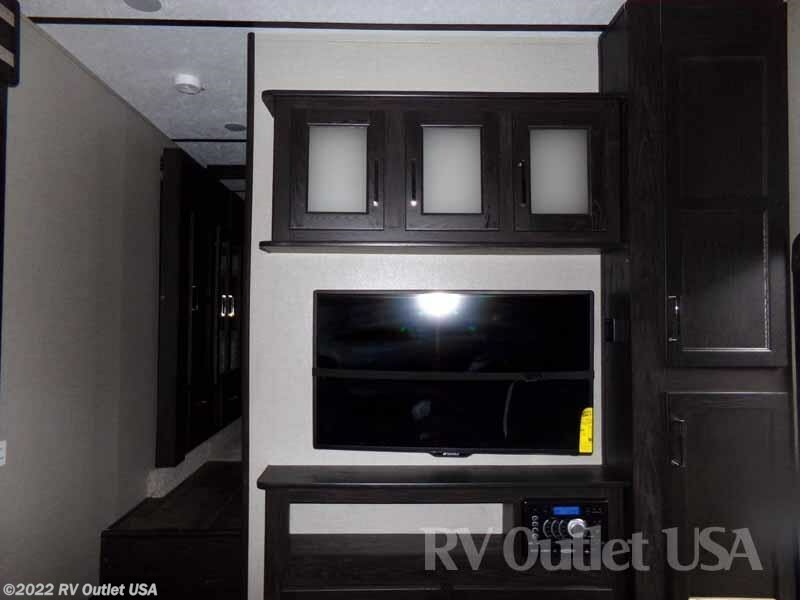 The entertainment center has a stereo. 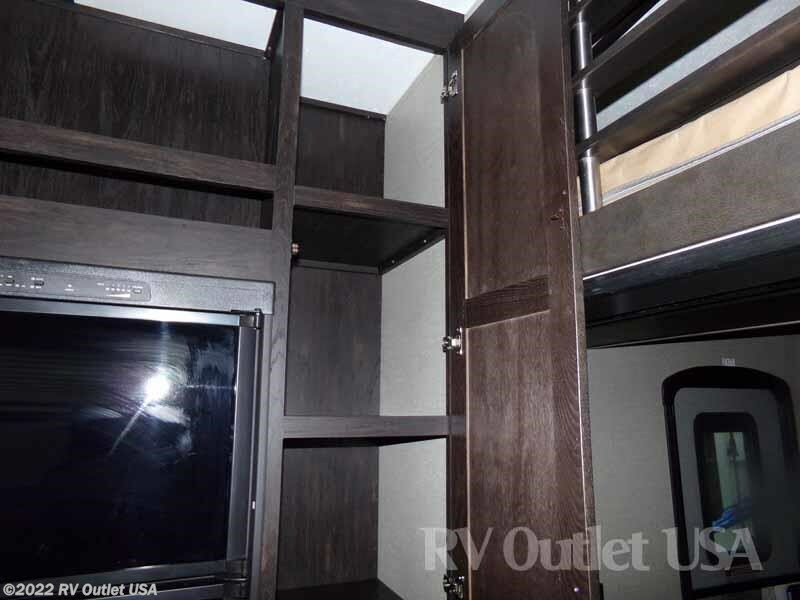 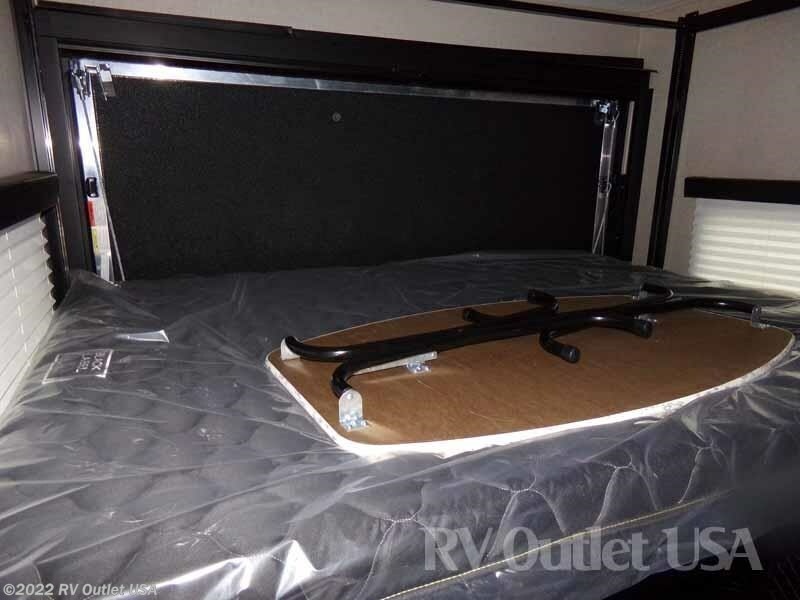 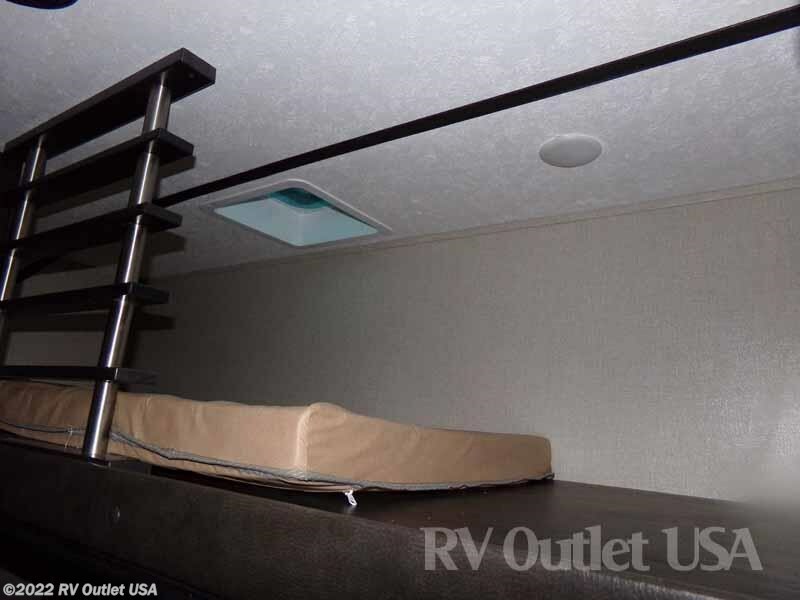 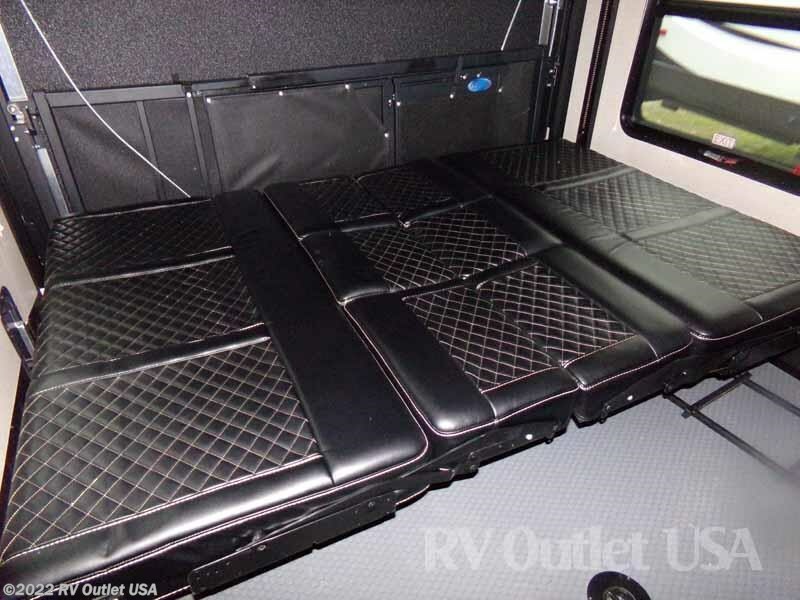 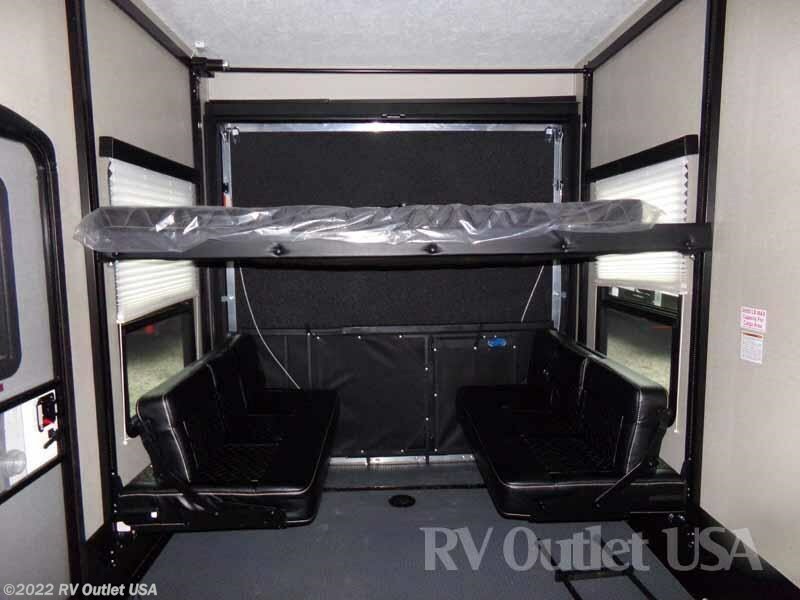 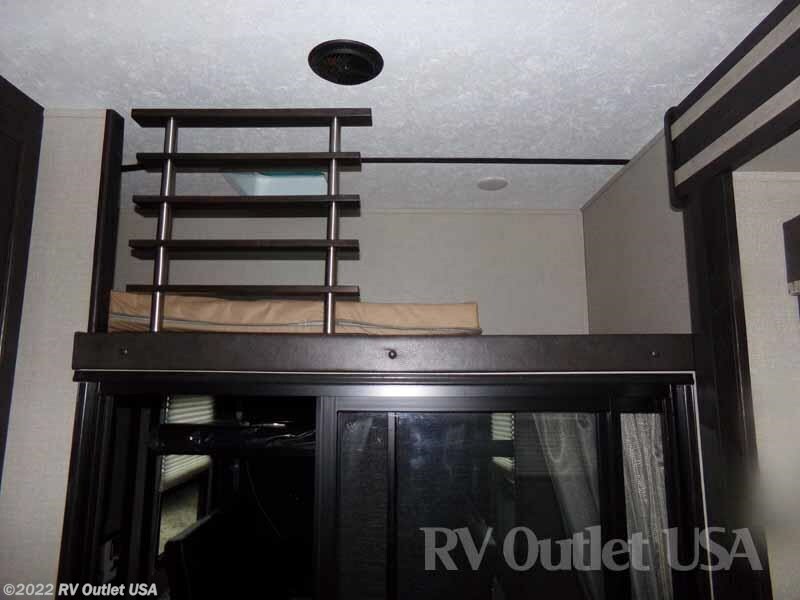 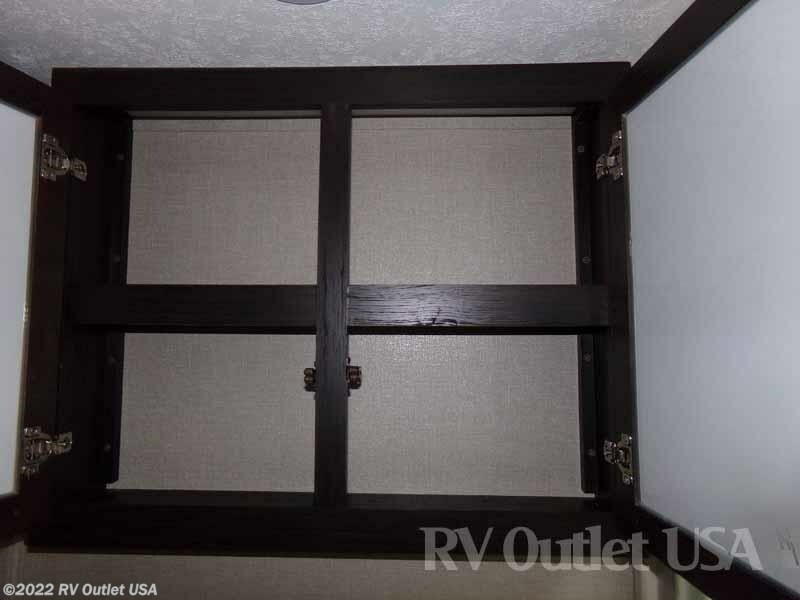 The cargo area on this toy hauler has a loft bed as well as opposing sofas for extra sleeping. 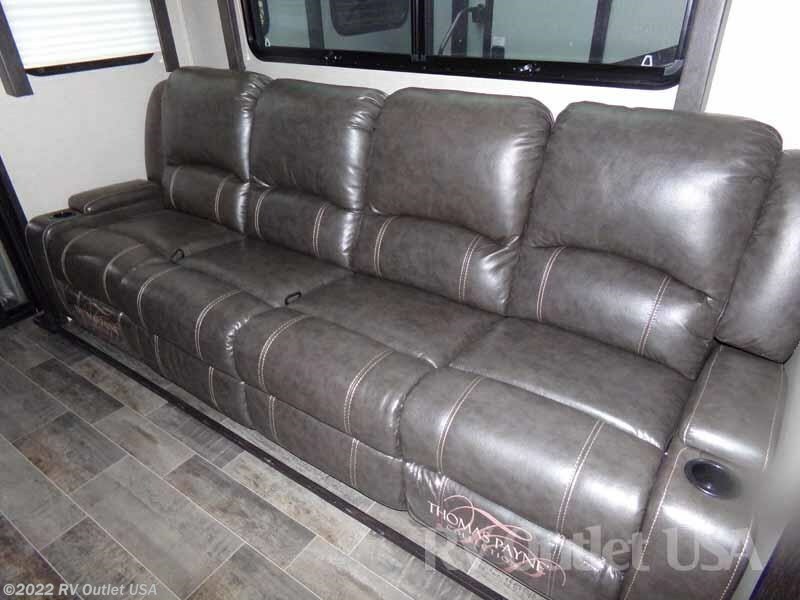 This is a very nice coach with a ton of nice options and features.